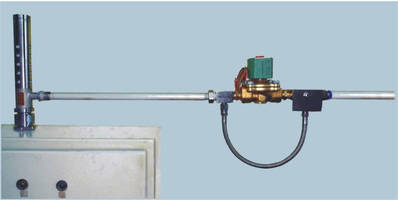 Ionzing Air Beam blows away dirt and static from distance. Without anyÂ moving parts, Nex Flow™Â Ion Blaster Beam™ removes static charge fromÂ charged surface and can remove static-free dust up to 15 ft away. Compact design allows use in hard-to-reach areas or confined spaces, while air volume and velocity are infinitely adjustable usingÂ pressure regulator to addressÂ light- to heavy-duty applications. Use of air amplifier maximizes ionized airflow, with large volume entrained, while minimizingÂ compressed air use (10 psig typ). 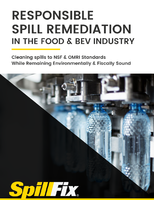 Dirt buildup is a problem in many types of production applications, especially where plastic, fiberglass or other materials that have a propensity to develop a static charge are used. The Nex Flow™ Ion Blaster Beam™ removes static charge from a charged surface and can remove static free dust up to 15 feet (4.6 m) away with no moving parts. It’s compact design allows it to be used in hard to reach areas or confined spaces. The air volume and velocity are infinitely adjustable over a wide range using a pressure regulator to address any application from light to heavy duty. The use of an “air amplifier” maximizes ionized airflow with large volume entrained while minimizing the use of compressed air. In most applications only 10 psig (0.7 bar) is required to operate effectively. The Ionizing Point used is a powerful ionizer which remains effective because the air exit “plastic PET head” of the unit prevents weakening if ions which metal attachments may do. This can make the Ion Blaster BeamTM far more effective than systems using metal. Nex Flow™ static control products are made to last! Power Supplies are “repairable” and come with an unparalleled two year warranty. Several ranges of power supplies are also available from simple to more complete monitoring systems. 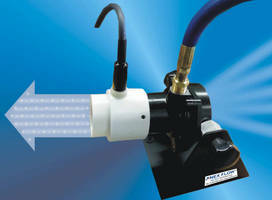 Star-Type Nozzle minimizes compressed air consumption. Panel Cooler safely provides constant purge. 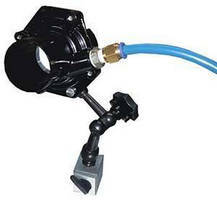 Blow Off Nozzle combines power and compressed air conservation. Window Blowoff clears CNC windows of coolant and chips. 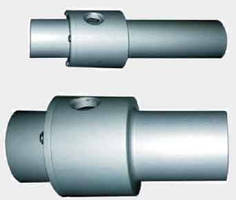 Brushless DC Blowers serve medical and industrial uses. 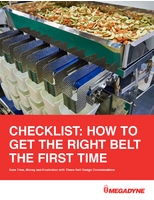 Cooling Systems protect workers from heat stress, fatigue. Ionizer offers ESD control in process tool applications. Regenerative Blowers are corrosion resistant.